Emma is a versatile practitioner with a practice that combines criminal litigation, professional disciplinary and regulatory proceedings, inquest law, prison law and public law. Her areas of expertise complement one another, enabling her to offer a comprehensive service to organisations, professional and lay clients seeking advice and representation. Prior to joining Chambers, Emma completed an appointment as Assistant Public Solicitor in the British Overseas Territories of St Helena and Ascension Island (in the South Atlantic). During this appointment, Emma was admitted as an Advocate of the Supreme Court of St Helena, Ascension Island and Tristan Da Cunha. Emma was asked to return to the Island in this role, following her appointment pre-pupillage, to advise on a specific high profile cross jurisdictional case. In addition to having conduct of a series of high profile and politically sensitive cases, Emma conducted general criminal, civil, medical regulatory and professional disciplinary matters. 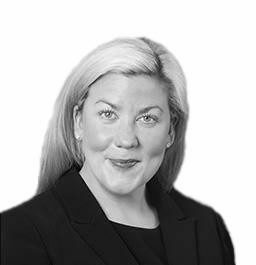 Emma recently returned to the islands to assist the Public Solicitor’s Office in various professional capacities in 2017 and 2018. Emma is described by referees as “an excellent advocate”. She has appeared in the Supreme Court of St Helena and was commented upon in reported cases, to have advanced arguments capably. Emma is further noted by the former Public Solicitor for St Helena and Ascension Island to have “worked exceptionally hard and was an asset to the Public Solicitor’s Office”. As a practitioner, Emma is commended by instructing solicitors for her “impressive professional conduct advocacy, and hard work”. She prioritises client care and good working relationships with those instructing her. Emma has demonstrated her ability to build relationships in her roles in a number of different jurisdictions and cultures, dealing with some very sensitive issues. In 2017, Emma undertook a 12-month secondment with the General Medical Council (GMC) where she broadened her knowledge base and practical experience of the medical regulatory framework. Emma regularly advised on Rule 12 review requests, having regard to complaints raising new information and/or alleged material flaws in the GMC decision making process. In the course of this work, Emma frequently considered and advised on the impact of Inquest documents including Coroner Reports/Verdicts, Trust Investigation Reports, Independent medical investigation reports and medical records. Emma is on the GMC approved list of advocates for presenting, and regularly appears in respect of, Fitness to Practise proceedings arising from allegations of misconduct, deficient professional performance, conviction, adverse physical or mental health, English speaking, and determinations by other regulatory bodies. In addition, Emma is experienced, and approved by the GMC, in providing advice and representation in respect of Interim Order, Review and Non-Compliance hearings.